In 2012, Claire Olshan started the UES boutique FiveStory where she loved changing the way people felt from the outside in, mixing up the way they thought they needed to or should dress. She’s applying that same ethos to her newest venture DADA Daily, the aesthetically-minded functional snack company. 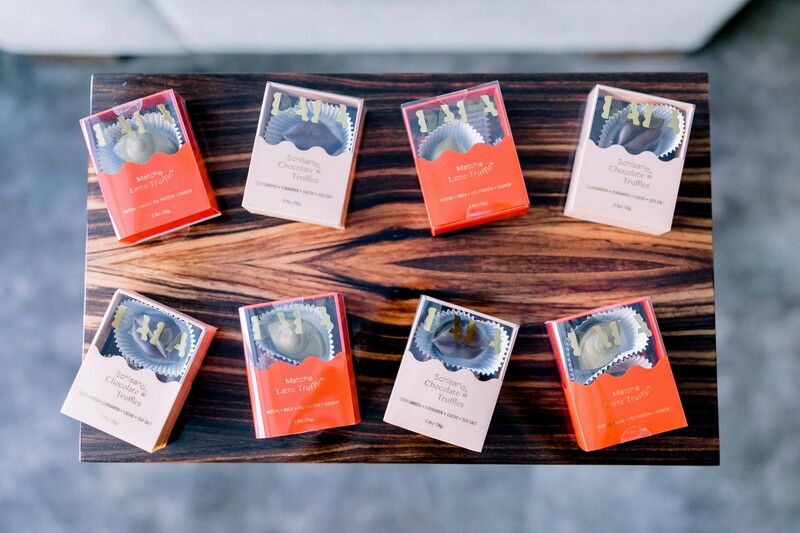 DADA Dailyis an aesthetically-minded functional snack company. 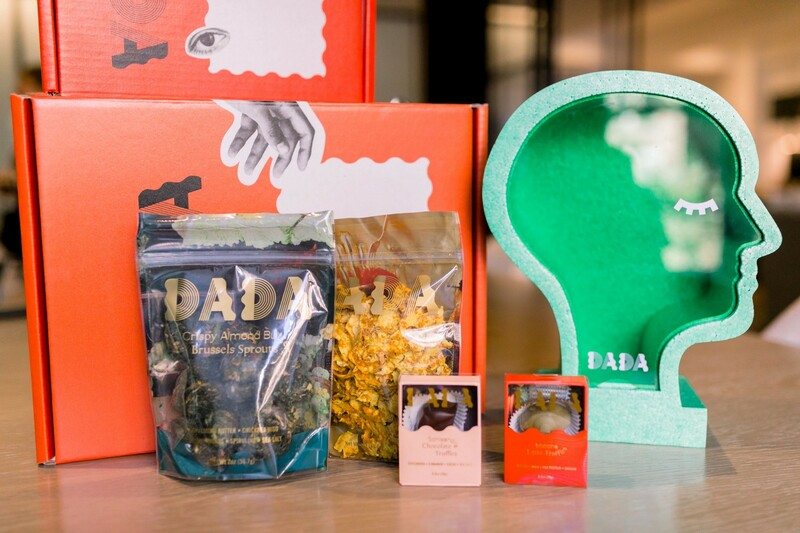 DADA Daily was created in order to connect two worlds — design (with packaging inspired by the surrealist movement) and wellness — that parallel one another but were never properly bridged. The health food industry was getting bogged down by the word “NO” and becoming a very restrictive, rule oriented space. To me, healthy living and eating should be joyful, inclusive and fun. How do your snacks differ from the traditional perception of eating healthy foods? I think that people are always in this constant pursuit of the new diet or weight loss trick. They are being prescribed by people who don’t know them (and definitely don’t know their bodies) what to eat, but mostly what NOT to eat. People are not listening to their own bodies, their own needs, but rather a prescription prescribed to millions of people at one time. I just think that rationally speaking, that makes no sense. But emotionally speaking it also makes no sense! While our bodies are the most complex and incredible things on the planet, eating healthy definitely should not be. It should be as simple as “eat what makes you feel good” don’t GORGE on what make you feel good, but just eat it….make sure it comes from a good place…make sure it it doesn’t have weird processed ingredients and that’s about it. Deciding to be healthy should be the most freeing and liberating day of your life! We also want to bring wit, charm, sexiness and luxuriousness to health food…something I don’t think most people associate with it. What inspired you to create these unique treats? The idea to start a healthy snack food company started from a when I was very young. I had always been obsessed with health food and never found a company that resonated with me…with my ethos, my aesthetic and my approach to food in general. I found all health food forcing me to subscribe to a diet, to worship the word NO and (to be brutally honest) not chic! At Fivestory, I loved changing the way people felt from the outside in…I loved taking people out of their fashion comfort zones and mixing up the way they thought they needed to or should dress, but I wanted more! I wanted to really work from the inside out as well. What successes and failures have you had along the way of creating this business? How did they help you grow? I would say that while building this company I’ve learned to keep people around you that love that challenge you…I used to say keep people around you that tell you no, so you’re conditioned to think harder. Now, I have realized it’s healthier and more fruitful to work with people that say, “YES, but…” Creativity is actually a very vulnerable and fleeting thing, and if it’s not nurtured at the very onset, your thought, your idea and your passion will never live to its fullest potential. So surround yourself with people who nurture thoughts but challenge them and push them to the fullest. I would say I also learned that businesses are not like recipes…if you run out of an ingredient in a business it doesn’t ruin the final product. I used to get so attached to people and their roles and thought how would anyone ever survive if they left! But the truth is, the sign of a good business is its ability to persist, pivot and progress in the face of change. Where do you see DADA Daily in five years? I’d love DADA to own the giftable food space — to have people #elevateyoursnacking moment and have snacks be brought to the dinner party, table and to be eaten with pride and joy. I’d love DADA to inspire people to shake that stupid diet of the moment and start listening to their bodies and what honestly makes them feel good. I’d love DADA to be eaten as a side dish to your lunch, a 4pm pick me up or a little bedtime snack to elevate your bedtime routine. DADA is all about self care and self love and I’d love to just add a little extra of that to all our customer’s days. What do you wish you would have known before starting a business? The balance of confidence and humility. I think to start a business you have to have some level of a healthy ego, or else you’d never have the courage to do it. However, finding the balance of feeding that ego, but also staying humble and grateful is sometimes challenging. You can’t be defeated by every bump in the road or mistake, but you also can’t get out of them unscathed; every failure is a lesson and a moment to rebuild and get stronger. Find your strengths, nurture them, and surround yourself with others who nurture them and really respect them, and you. Those same people should have different strengths and should be challenging you in all the areas you may not be great at. A healthy team is like a puzzle, each piece is different, but when you put it together it materializes idea’s and puts plans in motion.